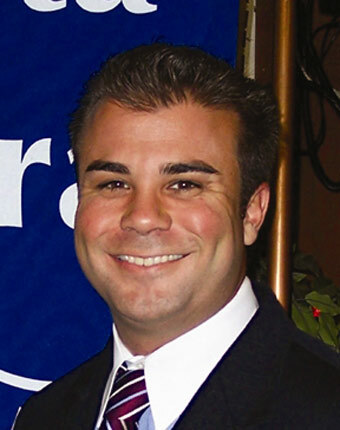 Dominic Caserta is a real estate agent who works for Gary Gillmor's firm - Gary Gillmor and Associates. His City of Santa Clara profile also lists him as working as an Educator. Educator is usually a code word for someone who works in the administration of a K-12 school. Dominic Caserta is a member of the Stadium Five. When a group of people, angry at Caserta for his flip flop on the BAREC property usage, started NotCaserta.com, Dominic paid his campaign consultant James Rowen $1,850 to attack them. Eventually they were dropped by their web host and had to move to NotCaserta.org. Mr. Caserta was aided by the 2004 city council in a brazen act of kleptocracy. He was elected to the City Council in November 2002. In September 2004 Dominic bought a house in Santa Clara for $700,000. A few months later he got the city council to vote him a huge property tax reduction. His assessed value for 2005 was reduced to $157,911 making his taxes $1,851 instead of an amount greater than $7,700 that he would have normally paid. And this reduction continues forever and can be passed on to a new buyer, unless the unlikely event of the city deciding not to renew the benefit occurred. This reduction comes from something called the Mills Act. It is an unremarkable 1,564 square foot one story 3 bedroom 1 and a half bath stucco house on a 6,250 square foot lot. And yet, the Santa Clara politicians still awarded a huge tax break based on the presumption that having this house, built in 1930, is such a benefit to the city that the owner must have their taxes reduced as an incentive for them not to tear it down. So Jamie Matthews, Kevin Moore, and Joe Kornder voted yes to adding the addendum, even though they were not present at the original meeting and despite conflicting testimony from current and former city councilmembers who were. Only two Santa Clara politicians voting on the addendum were present during the Caserta Mills Act vote - Patricia Mahan and Jamie McCleod (who was in the audience). Jamie McCleod stated that she had a clear recollection of the vote in question because she was very surprised at the time to see Dominic Caserta voting on his own property tax reduction. Mayor Mahan approved the minutes for 11/16/2004 at the December 14th, 2004 council meeting, and then four years later claimed that she had approved the minutes in error. Several Santa Clara citizens sent emails requesting the city council deny Caserta's request that the addendum be added. Former councilmember John McClemore, who had been at the meeting in question, testified during public comment, that Caserta had voted on his Mills Act reduction. In addition, he read a letter from former councilmember Aldyth Parle who had also been present, in which she stated that her recollection was that Caserta had voted on the motion. Rod Diridon stated that he had no recollection of whether or not Caserta had voted. So Moore, Kornder and Matthews all voted yes despite the fact that only one person who had been present at the meeting said that Caserta had not voted, and three people said that he had. The person saying he had not voted on it - Patricia Mahan - approved the minutes for that night on December 14, 2004, which showed that Caserta HAD voted on it. What is also disturbing is that the Fair Political Practices Commission apparently feels it's okay for politicians to get voted large lifetime property tax subsidies by their fellow politicians as there was no investigation for that issue. Thank you madam mayor I want to applaud the neighborhood. uh I know this neighborhood intimately I drive through it every day as I go to work at Santa Clara high school. Uhm It is an eyesore right now, that I've seen for many months and I want to applaud you because a lot of your grass root efforts, some of you in the neighborhood have taken more of a leadership role than others. But generally speaking this neighborhood's been very active. And The reason why this developer has been so responsive to the council which we empower through your comments is because how hard you gathered together to get things done. If you weren't organized, the, I don't believe the developer, not just this developer, any developer would have been as responsive as they were. Now with that said I, I know that many of you that live in the neighborhood are upset, frustrated, feel impotent, maybe even disgusted with this council if this motion passes. But Look from our perspective here If we took the public policy of not in my backyard, uhm, there'd be no development at all. Leaving it as is is unacceptable from my perspective leaving it as is right now. . Uh Fairfield, as our staff can say can walk away and leave this not completely demolished. Which would even be more of an eyesore and which would definitely not be good for the neighborhood So I believe through your empowerment and your activity at a grass roots neighborhood level you have made the developer give away a lot that they didn't want to give away. For example, this staff general plan says this could be 900 units, we're now looking at 766 units. There is more open space. The health of this nation and this community is disgusting. The obesity rate is skyrocketing. This is an opportunity for more bike and pedestrian friendly opportunities. Maybe opportunities of are (sic) students that live in that neighborhood to maybe walk to school, once in a while. Uh This council and especially a few in particular champion in the public that they are green and they are environmental. This project is green and it is environmental. Uh the recycling water issue in regards to Central Park is very exciting from my perspective. As a school teacher, I take very seriously that the school district has endorsed this plan. And as a teacher which (sic) resources have been drastically cut in the classroom, giving more money to our schools is a huge plus. And there are some council members on this council that love to talk about affordable housing. And then there's a Niners deal that's coming up and they talk about affordable housing as a reason they didn't support this. This project provides affordable housing. And you know what it is so easy to be popular , uhm and the popular decision tonight would be just to do nothing. But I don't think it's the right decision to make. Uhm and I really wanted just to tell you where I come from and what (sic) that said I applaud you because this would not be as less dense as it is today in this form if it wasn't for your activity. So uhm, I have I don't feel that I have a choice other than to support this project because uh not in my backyard mentality I don't think is good for a city, for a county and a community so I will be supporting the motion.